See + Do Explore the magic of the underwater world at Birch Aquarium this holiday season! The magic of the holidays meets the magic of the underwater world at Birch Aquarium during Seas ‘n’ Greetings, a month-long holiday celebration featuring SEAsonal activities (get it?!) for the whole family! 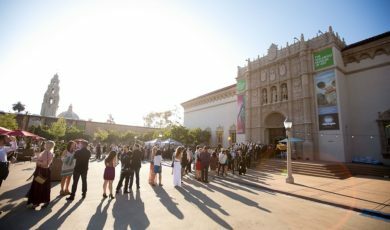 Birch Aquarium is being transformed into a holiday wonderland that is totally unique! Get into the holiday spirit and check the schedule for special appearances by Scuba Santa as well as themed animal encounters, a scavenger hunt, and fun photo opportunities.